Eurocom has launched the Sky X9 super high performance, fully upgradeable gaming laptop with desktop NVIDIA GeForce GTX 980 graphics, Desktop Skylake Intel Core i7 6700K CPU and 64 GB of DDR4 memory. 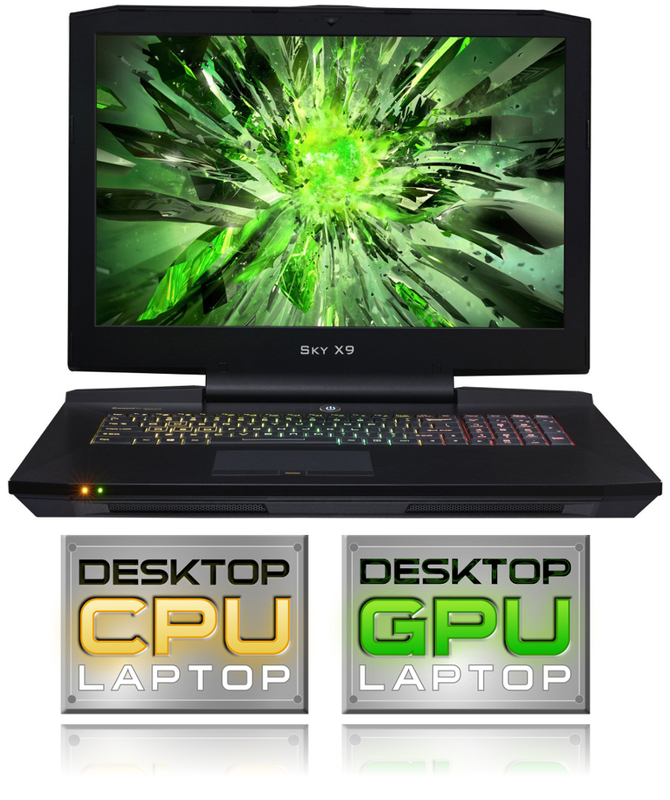 “We have put a desktop graphics card into a laptop, giving our customers amazing desktop 980 performance in a laptop. Users now have 980 desktop graphics performance combined with Intel Skylake desktop CPU performance.” Mark Bialic, Eurocom President. “EUROCOM Sky X9 users can now have desktop CPU and GPU performance in a laptop to easily carry with them in a backpack” Mark Bialic, Eurocom President. The EUROCOM Sky X9 is an aggressively style machine that clearly makes its presence and performance known. It has 8 colour options for its keyboard and lighting for further user customization to make the Sky X9 your very own. A whopping 64 GB of memory is supported via four upgradeable and easily accessible SODIMM. DDR4-2133 and 2400 are supported. EUROCOM Sky X9 is able to support such high performance hardware due to its robust, high quality design and high capacity copper heatsinks to keep the desktop graphics and processor within its operating temperature range.